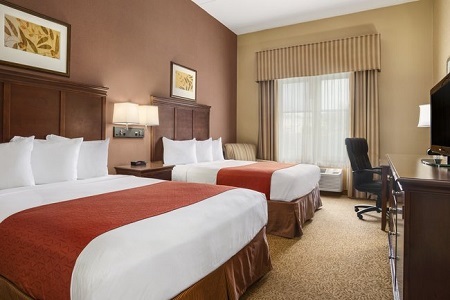 Choose the Country Inn & Suites® by Radisson, Cuyahoga Falls, OH to stay near Blossom Music Center, the Akron Zoo and more. For an enriching experience, stop by the Akron Art Museum to view pieces from regional and international artists. If you’re looking for an outdoor adventure, explore the trails at Cuyahoga Valley National Park or take your kids spelunking at Gorge Metro Park. Traveling for an anniversary or a birthday getaway? 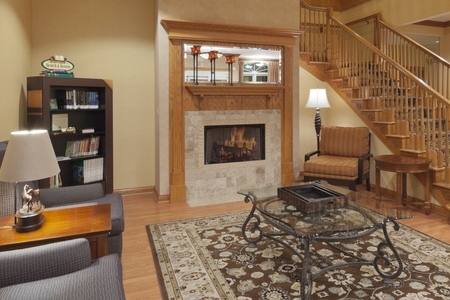 Book our Whirlpool Suite with a king bed, a wet bar and a heart-shaped whirlpool tub for two. If you’re craving something sweet, get your fill of French toast, pastries and Belgian waffles at our free, hot breakfast. If you prefer a lighter meal, you can choose fresh fruit and cereal. 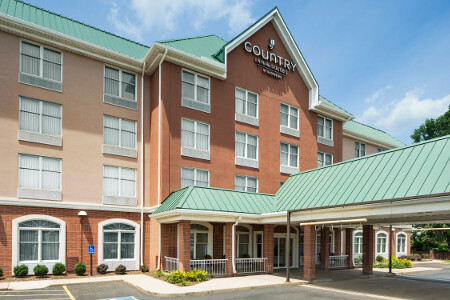 For lunch or dinner, you can walk to several nearby restaurants, such as Bob Evans or O'Charley's. Plus, a number of local favorites like Beau’s on the River and Burntwood Tavern are within two miles. Akron Zoo – Drive about 10 minutes south to see red pandas, snow leopards and more than 700 other animals at the Akron Zoo. Learn alongside your kids as you visit the Grizzly Ridge exhibit and the Lehner Family Zoo Gardens, home to thousands of flowers and plants. Blossom Music Center – Catch performances by big names like Kenny Chesney and Journey at this open-air arena about 15 minutes away from our hotel. In addition, the Cleveland Symphony Orchestra makes this venue their summer home. Cuyahoga Valley National Park – This nearby park on the Cuyahoga River serves as a refuge for local wildlife. About 11 miles north of the hotel on Route 8, Cuyahoga Valley National Park is the best place to photograph the 65-foot Brandywine Falls. 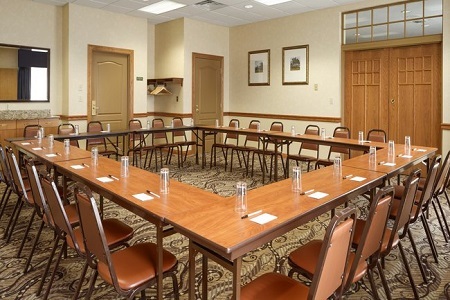 Close to I-76 and I-77, our hotel offers a great location for business meetings and family gatherings. Take advantage of free Wi-Fi and audiovisual equipment to impress your guests, and be sure to ask about discounts for groups. Snacks and beverages are also available for a fee.